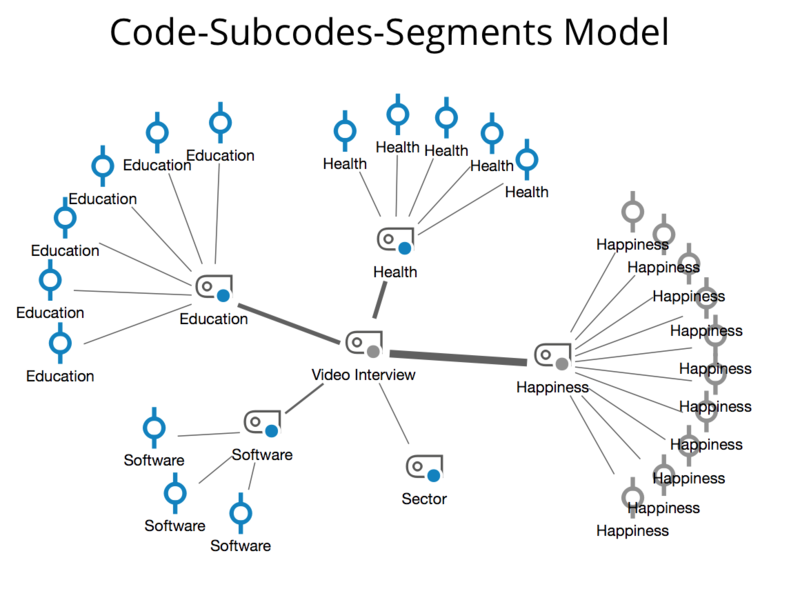 This model creates a map with a selected code, its subcodes, and the segments coded with these codes. This model is similar in many ways to the Single-Case Model except that a code is the focus, rather than a document. The icon of the selected code is placed in the center of the map. The subcodes of this code (and their subcodes if any) are arranged in a circle around it and connected to the code by non-directional connecting lines. Their coded segments (of the code and its subcodes) also placed around them with non-directional connecting lines. Display activated only – Displayed subcodes can be limited to those activated in the “Code System” window. You can also set the maximum number of subcodes you would like displayed. Integrate subcode level (all, 1, 2, 3) – specify whether only the direct subcodes of the selected code (level 1) or codes of other levels should be displayed. Display coded segments – If this box is checked, coded segments will be displayed for each of the codes. You can also set the maximum number of coded segments to be displayed per code. 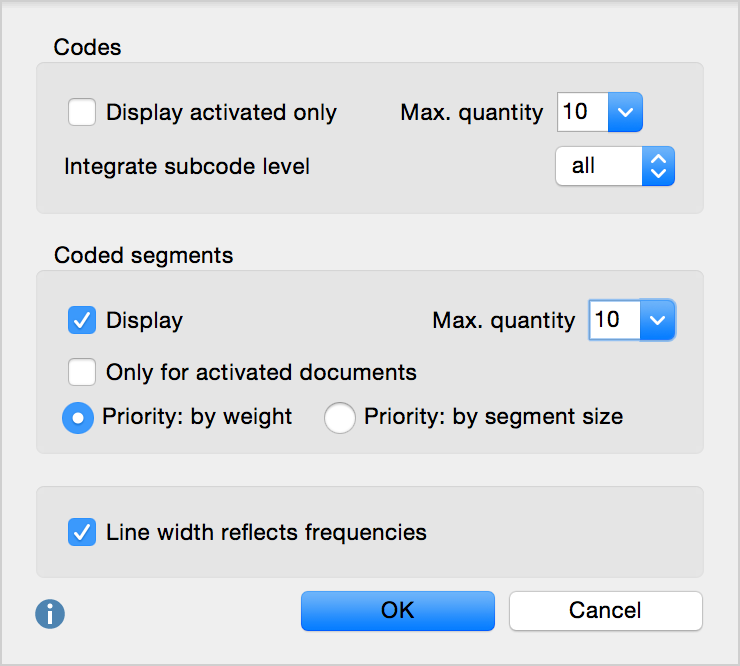 If the code has more than the selected maximum number of codes, you can give preference to codes according to Priority by weight (codes with larger weight scores are given preference) or according to Priority by segment size (codes with larger areas are given preferences). Line width reflects frequencies – If you select this option, the connecting lines to codes with many coded segments are drawn thicker than with codes with fewer coded segments.